The 11th Hour gear is a complete set of PJ/Loungwear. 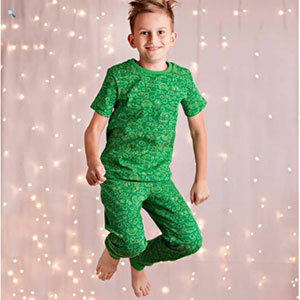 Featuring joggers, straight leg pants, and shorts all with pockets, a knit elastic waistband and optional drawstring. 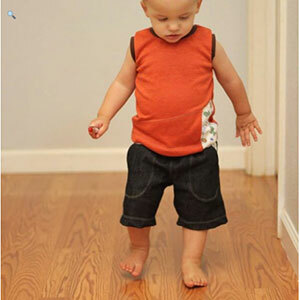 The straight leg pants and shorts can also be made in woven fabrics. The shirt is a slim fit silhouette with optional front hidden pocket. Also includes long sleeve, short sleeve, and muscle tee options. A full 3 complete patterns in one! And it comes in a huge range of sizes! No serger required! No special tools needed. This pattern is available in sizes 3-6M to 16. 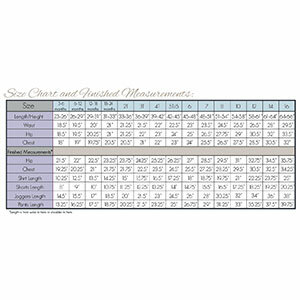 Suggested fabrics are cotton lycra, BOLT cotton spandex, french terry, cotton jersey, flannel, fleece, or sweatshirt fleece. Use rib knit for the cuffs.